I’ve discussed the reasons why there is a need for revised (optimized) Loudness Standards for Internet and Mobile audio distribution. Problematic (noisy) consumption environments and possible device gain deficiencies justify an elevated Integrated Loudness target. Highly dynamic audio complicates matters further. In essence audio for the Internet/Mobile platform must be perceptually louder on average compared to audio targeted for Broadcast. The audio must also exhibit carefully constrained dynamics in order to maintain optimized intelligibility. The recommended Integrated Loudness targets for Internet and Mobile audio are -16.0 LUFS for stereo files and -19.0 LUFS for mono. They are perceptually equal. In terms of Dynamics, I’ve expressed my opinion regarding compression. In my view spoken word audio intelligibility will be improved after careful Dynamic Range Compression is applied. Note that I do not advocate aggressive compression that may result in excessive loudness and possible quality degradation. The process is a subjective art. It takes practice with accessibility to well designed tools along with a full understanding of all settings. I thought I would discuss various aspects of Podcast audio Dynamics. Mainly, why an extended Dynamic Range is potentially problematic and how to quantify it using various descriptors and measurement tools. I will also discuss the benefits of Dynamic Range management as a precursor to Loudness Normalization. Lastly I will disclose recommended benchmarks that are certainly not requirements. Feel free to draw your own conclusions and target what works best for you. At it’s core extended or Wide Dynamic Range describes disparities between high and low level passages throughout a piece of audio. When this is prevalent in a spoken word segment, intelligibility will be compromised – especially in situations where the listening environment is less than ideal. For example if you are traveling below Manhattan on a noisy subway, and a Podcast talent’s delivery is inconsistent, you may need to make realtime playback volume adjustments to compensate for any inconsistent high and low level passages. As well – if the Integrated Loudness is below what is recommended, the listening device may be incapable of applying sufficient gain. Dynamic Range Compression will reestablish intelligibility. From a post perspective – carefully constrained dynamics will provide additional headroom. This will optimize audio for further down stream processing and ultimately efficient Loudness Normalization. I would say in most cases successful Loudness Normalization for Broadcast compliance requires nothing more than a simple subtractive gain offset. For example if your mastered piece checks in at -20.0 LUFS (stereo), and you are targeting R128 (-23.0 LUFS Integrated), subtracting -3 LU of gain will most likely result in compliant audio. By doing so the original dynamic attributes of the piece will be retained. Things get a bit more complicated when your Integrated Loudness target is higher than the measured source. For example a mastered -20.0 LUFS piece will require additional gain to meet a -16.0 LUFS target. In this case you may need to apply a significant amount of limiting to prevent the Maximum True Peak from exceeding your target. In essence without safeguards, added gain may result in clipping. The key is to avoid excessive limiting if at all possible. How do we optimize the audio before the gain offset is applied? I’ve found that a moderate to low amount of Dynamic Range Compression applied to audio before Loudness Normalization will prevent instances of excessive limiting when processing highly dynamic audio. The amount of compression is of course subjective. Often a mere 1-2 dB of gain reduction will be sufficient. 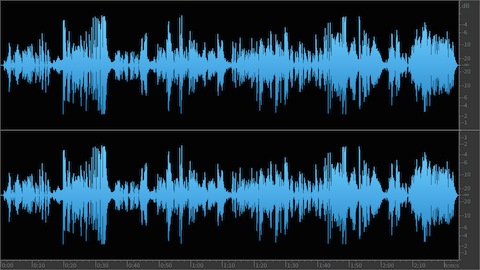 The results will always depend on how dynamic the source audio is before normalizing. I carefully manage spoken word dynamics throughout client project workflows. I simply maintain sufficient headroom prior to Loudness Normalization. In most cases I am able to meet the intended Integrated Loudness and Maximum True Peak targets (without limiting) by simply adding gain. 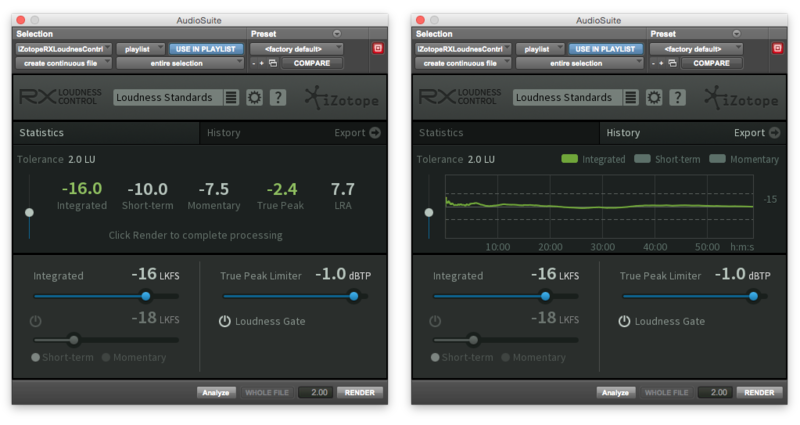 By design iZotope’s RX Loudness Control also applies compression in certain instances of Loudness Normalization. I suggest you read through the manual. It is packed with information regarding audio loudness processing and Loudness Normalization. It’s a highly recommended tool that simplifies offline processing in Pro Tools. Many of it’s features hook into Adobe’s Premiere Pro and Media Encoder. So how do we quantify spoken word audio dynamics? Most modern Loudness Meters are capable of calculating and displaying what is referred to as the Loudness Range (LRA). This particular descriptor is displayed in Loudness Units (LU’s). Loudness Range quantifies the differences in loudness measurements over time. This statistical perspective can help operators decide whether Dynamic Range Compression may be necessary for optimum intelligibility on a particular platform. I will say before I came across sort of rule of thumb (recommended) guidelines for Internet and Mobile audio distribution, the LRA in the majority of the work that I’ve produced over the years hovered around 6 LU. In the highly regarded article Audio for Mobile TV, iPad and iPod, the author and leading expert Thomas Lund of TC Electronic suggests an LRA not much higher than 8 LU for optimal Pod Listening. Basically higher LRA readings suggest wider dynamics which in turn may not be suitable for Mobile platform distribution. Some Loudness Meters also display the PLR descriptor, or Peak to Loudness Ratio. This correlates with headroom and dynamic range. It is the difference between the Program (average) Loudness and maximum amplitude. Assuming a piece of audio has been Loudness normalized to -16.0 LUFS along with an awareness of a True Peak Maximum somewhere around -1.0 dBTP, it is easy to recognize the general sweet spot for the Mobile platform ->> (e.g. a PLR reasonably less than 16 for stereo). Note that heavily compressed or aggressively limited (loud) audio will exhibit very low PLR readings. For example if the measured Integrated Loudness of a particular program is -10.0 LUFS with a Maximum True Peak of -1.0 dBTP, the reduced PLR (9) clearly indicates aggressive processing resulting in elevated perceptual loudness. This should be avoided. If you are targeting -16.0 LUFS (Integrated), and your True Peak Maximum is somewhere between -1.0 and -3.0 dBTP, your PLR is well within the recommended range. Pay close attention to your Loudness Range. Use it to gauge delivery consistency, dynamics, and whether optimization may be necessary. If your Loudness Range is less than 8 LU (preferably 5 or 6 LU), your audio will be well suited for Podcast distribution. LRA Measurements may be performed in real time using a compliant Loudness Meter such as Nugen Audio’s VisLM 2, TC Electronic’s LM2n Loudness Radar, and iZotope’s Insight (also check out the Youlean Loudness Meter). 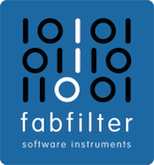 Some meters are capable of performing offline measurements in supported DAWs. 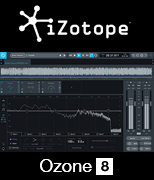 There are a number of stand alone third party measurement options available as well, such as iZotope’s RX7 Advanced Audio Editor, Auphonic Leveler, FFmpeg, and r128x. ***Please note I personally paid for my RX Loudness Control license and I have no formal affiliation with iZotope.